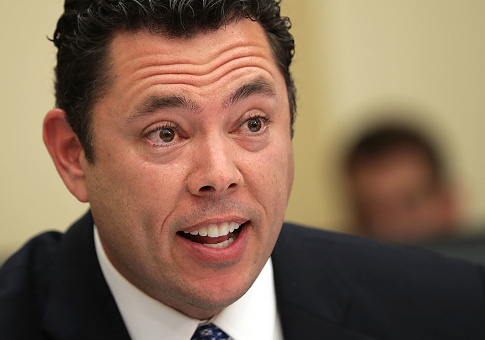 Rep. Jason Chaffetz (R., Utah) thinks members of Congress should receive a $2,500 per month housing allowance, arguing that a stipend would help lawmakers who cannot afford two residences. The New York Times First Take Twitter account invited people to watch the “Obama resignation” on their website. Embattled Washington, D.C. mayor Vincent Gray has lost the support of the people who swept him into office in 2010. The partially taxpayer-funded corporation to promote tourism, Brand USA, has released an overdue annual report detailing lavish parties for some of the nation’s top tourism executives. Democratic D.C. Council chairman Kwame Brown resigned Wednesday afternoon, the same day he was charged with bank fraud. Democratic Newark mayor Cory Booker’s communications director is resigning in the wake of scandal that followed Booker’s appearance on Meet the Press last week.